« MUST WATCH: Which Bank Has An Axe To Grind Against SGTReport? 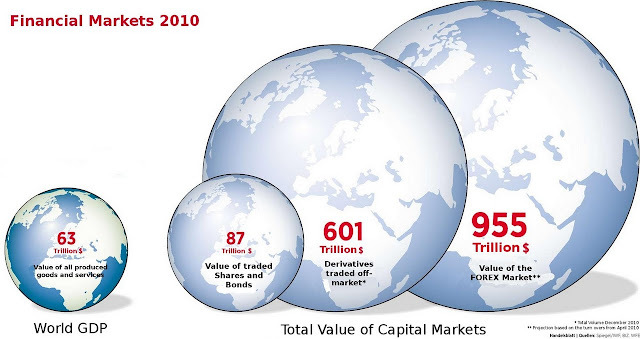 That below is from the “About” page of: OccupyWallStreet! Those involved are Anonymous: Operation EmpireStateRebellion, Adbusters and the for-mentioned Occupy Wall Street. Anonymous OK. Who can shed more light on the other two organizations? Before you embark, here is an interesting graphic to consider. Maybe you ask THE MAN about it? Can you feel the financial Bloat? 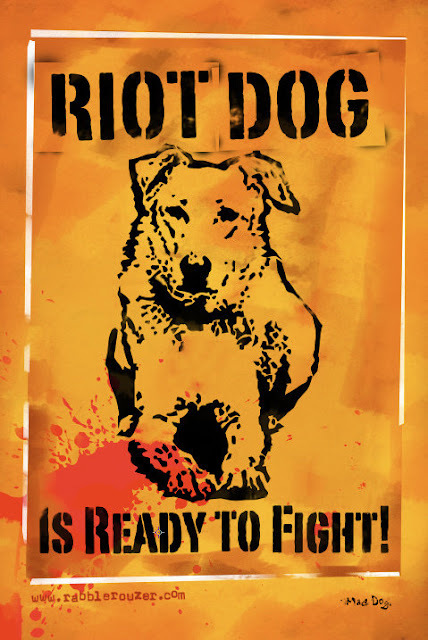 Riot Dog: Knows No Fear! 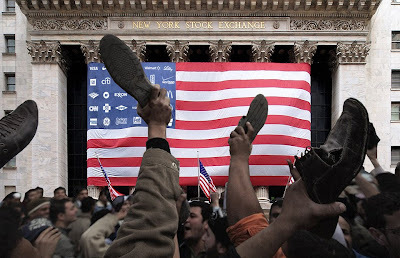 That below is from the About page of: Occupy Wall Street! Those involved; Operation EmpireStateRebellion and Adbusters. OccupyWallSt.org is a free / open source social networking tool for activists. This website is unofficial and not affiliated with Adbusters or Anonymous. We, the maintainers of this website, are an independent group of organizers committed to doing technical support work for resistance movements. In Solidarity, and as a response to this call, a planning group was formed [occupywallst.org], and an info sharing site established. The participation of every person, and every organization, that has an interest in returning the US back into the hands of it’s individual citizens is required. 5 comments to Called To Action: OccupyWallStreet? Did you pick the picture of the woman riding the bull to illustrate this article because you have noted the same symbolic meaning of this as me (eshatology and the ‘beast’), or was it for another reason? Is may be just me, but I keep seeing the image of the bull / horse (the beast? )whenever and wherever there is large scale econonomic institution (often linked to fraud) or near establishments that house big-politics / influence. Is there some sort of sybolism I am missing or is my imagination a little too creative for its own good? In europe the beast symbol(s) appear in many places – outside government offices, inside government offices, on the Euro coin (notably Greek),and even the statues outside European political and econonomic institutions. To me, and many others they seem to represent the beast / whore of babylon. In Europe the excuse is – officially at least – that the symbols of the ‘bull’ and/or the ‘whore of Babylon riding the beast’ are actually of ‘Europor and Zeus’ – nothing to do with eshatological symbolism. 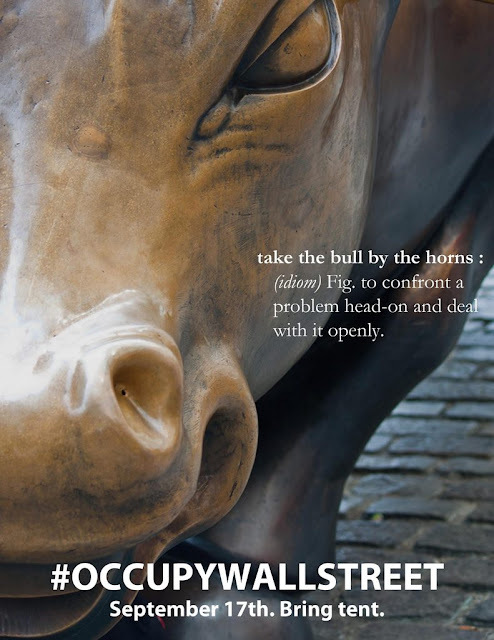 The ‘bulls’ outside banks are also supposidly a representatin of market sentiment. I am not so sure. And what about in the US and eslsewhere? The bull or ‘horse beast’ is everywhere where there is a centre of power – even if only as a painting on a wall, or as a small figurine, but it is there non the less. Also what is the meaning of the scary giant ‘Blue Horse Beast’ outside Denver airport (its an open secret that there is a modern ‘next generation’ command and control bunker (shared by both the military and CIA, apparently) close to if not under the airport)? Is the beast at this location a coincidence too? Is it co-incidence the symbolism in many banks and government buildings in both the UK and the US are the same (excluding the obviously linked masonic symbols which are well documented)?. I think I’ll go and chill out a bit as the more I look the more I keep seeing this symbolism…………. this is great to see!!! However, why on a saturday? wouldn’t this be more effective during the week? Andy — Wow! Symbolism is communication. Your assessment, perhaps with a little to much caffeine, is good. The Beast/Bull symbolizes great power and also the ability to do great damage. I like your Eschatological symbolism. It’s a more universal/deeper interpretation then I was thinking. 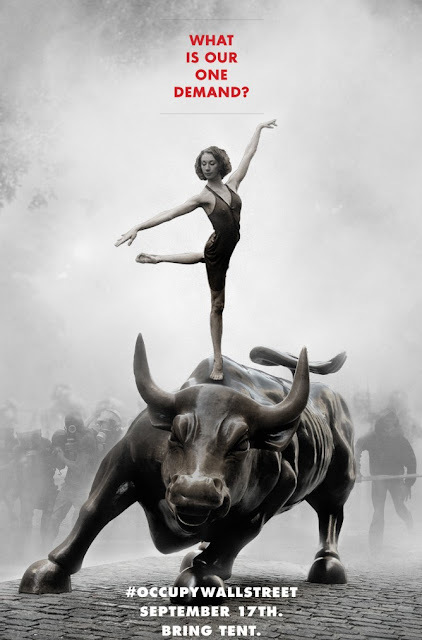 I just thought, what a great juxtaposition of the ballerina on the bull but with grace and dignity. Not like those deluded psychopaths who believe they can control the beast’s power (rather deep too but, to each his own). Further I did not like the “what is your one demand” verbiage; thought it weakened my head trip. What they don’t know what they want? And unfortunately that was muddled. I thought of Photoshopping “your name here” in its place to mock the absurdity of a corporate meme. But then the dense and unthinking public would believe I just used a stock photo. Art is creation. And that it moves you to think is its power. 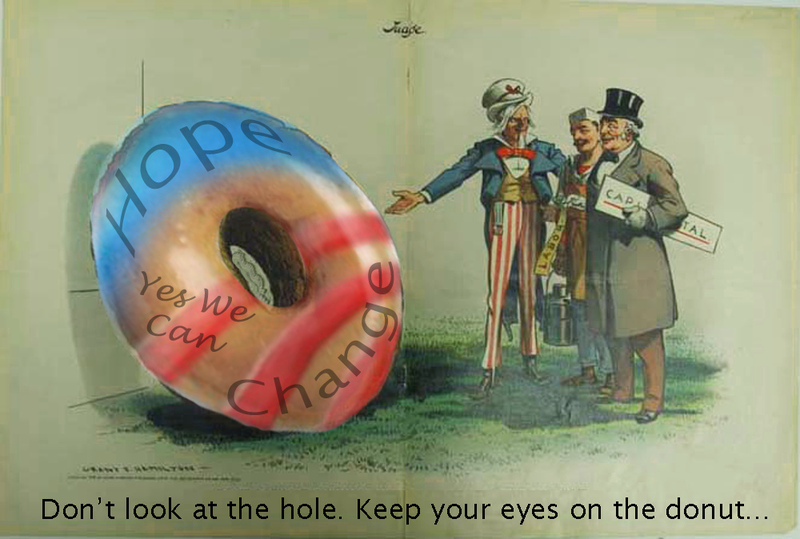 Speaking of symbolism; check out the The WilliamBanzai7 POTUS zer0 doughnut at the bottom…. No really! Don’t look at the hole! Look at the sugary glaze on top. That speaks truth. No mater the glazing, the dearth of leadership cannot hide the hole. Good stuff. Check out WB7 on Zero Hedge; he calls it VISUAL COMBAT and it works. John – they suggest you bring your tent and lots of weenies. And BTW, it doesn’t get any better then sharing your hash browns with an Arbitrageur before the opening bell.